Suhner India has its headquarters in Bangalore in the southern part of the city near Electronic City, the center of the IT branch in Bangalore, and is roughly 20 km from the commercial center. 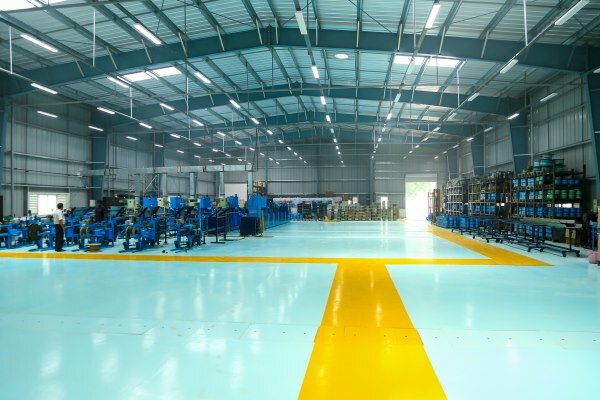 The facility is equipped with state-of-the-art machinery for manufacturing flexible shafts and is located on the same site as the warehouse which accommodates tools for surface machining, abrasives, machining units and accessories for economical processing. Products required by the customer are delivered throughout India from this central warehouse. The facility has a highly-modern service center with assembly and test equipment to offer customers the best possible support. The service center can access any spare part as well as specially trained maintenance engineers which ensure a fast and efficient customer service. We offer an in-depth information exchange with our exacting customers using innovative marketing concepts, such as solutions for surface machining combined with demonstrating tried and tested tools and abrasives all based on the everyday experience of our trained engineers across India. Suhner India actively seeks economical machining solutions and is recognized as a market leader in machinery for drilling, tapping and milling. With the support of our qualified engineers, we provide a seamless, modular system for your own design or turnkey solutions using our experienced plant construction partners located in all the major industrial centers in India. Using our range of flexible drive technology, we manufacture all types of high-quality flexible shafts and supply individual parts, complete modules and customized products for any requirement.